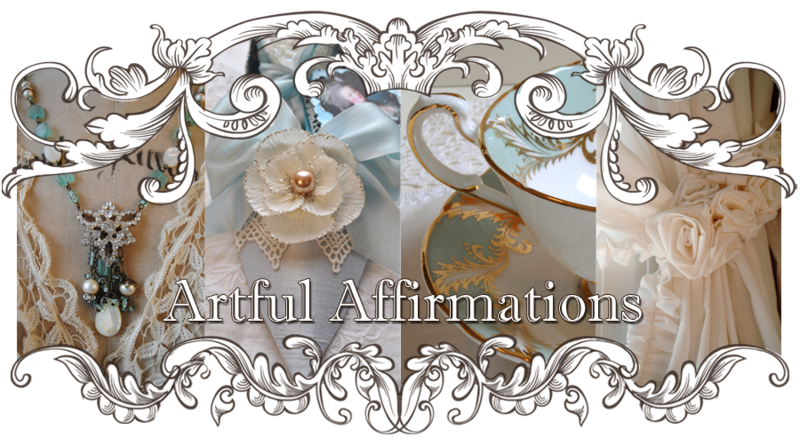 Artful Affirmations: Tea Cup Tuesday and Giveaway!!! Tea Cup Tuesday and Giveaway!!! I am announcing a Giveaway and sale! Tis the season to give! This is such a festive cup! She sits very high on her pedestal base. Tea cups make great gifts! green, red (o.k. pink..lol) and gold. The handle is a lovely with it's gold trim. Especially the golden yellow rose and the leaves. This cup was created by Lefton China and is hand painted. And now for my Giveaway and Sale! a FREE online Domino Book Class! so everyone gets something : ) The best price this year! a good sale price for the holidays! My second Giveaway is this Christmas Domino book! It was really enjoyable to do! A folded page between the covers creates the "book". until I followed my own viedo tutorial and bleached it! THIS IS MY THIRD GIVEAWAY! This vintage English tea cup by Mayfair! This was the closest to red and green I could find in my china cabinet. I will highlight her next week. If you love any of these items, leave a comment saying you would like a chance to win! 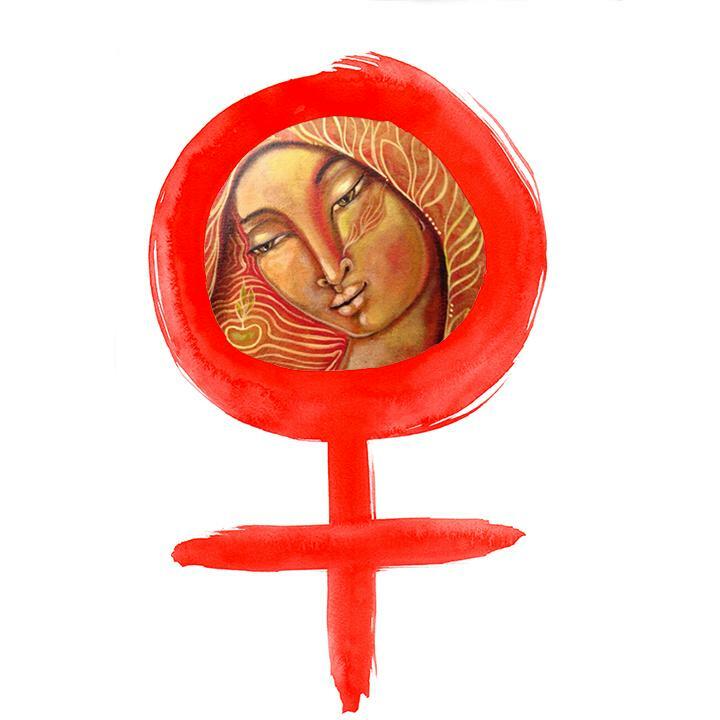 Make sure you leave contact info, or hit the e-mail me button on the right side of my blog and let me know privately. I have loved sharing Tea Cup Tuesday with all of you! Shall we do another year of it???? What do you say Martha? Thank you all so very much for all the joy you bring with you when you visit! I appreciate each of you and your comments....as they let me know you were by, and that something interested you. 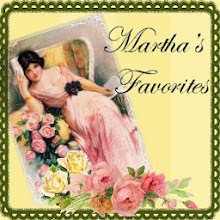 Martha and I happen to love them! Haha, Terri! We;re thinking alike! 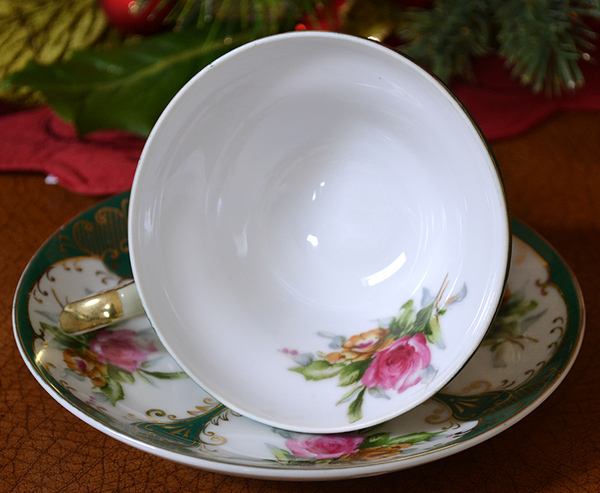 Your Lefton teacup is gorgeous! I appreciate your giveaway but just commenting, not entering - let someone else win at these wonderful prizes. Thank you for hosting - never stop! Hi Terri. So cute! Love the teacup, and love your work! Would love the teacup...no surprise there, but I really don't need another, and lots of other ladies would love to win! LOL! Thanks for hosting. And I have a giveaway I'm posting tomorrow...it hadn't arrived on schedule...you'll see. 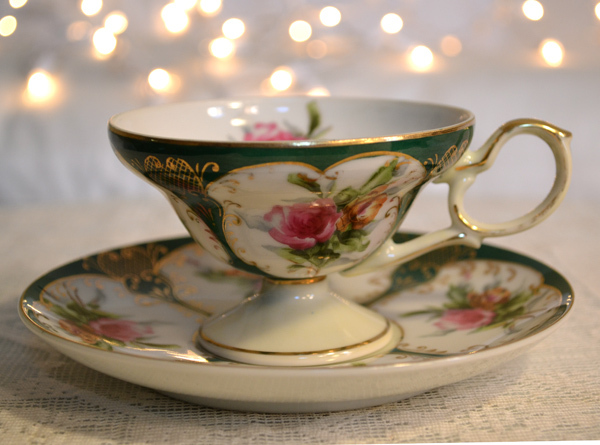 I love tea cups and all of your lovely items in your giveaway. I would love to do a tea cup post and join in. Maybe I can get my Christmas tea cup and pot out tomorrow, I always love to take it out at Christmas time. 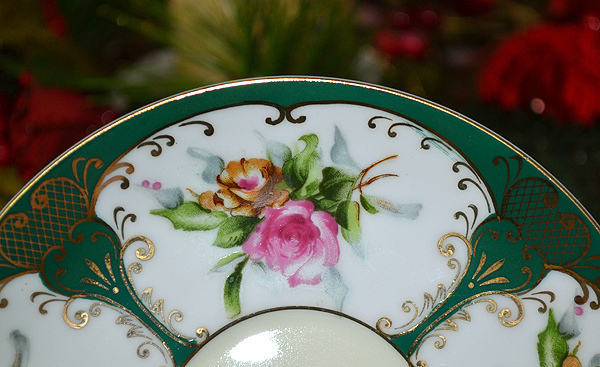 The Lefton teacup you share today is a beauty! And having hand painted bouquets certainly adds to its charm! Terri, I love your give-a-ways. Toss my name in the hat please. The teacups were lovely. Happy Tea Day! The first teacup is exquisite and will make a nice gift. You are generous with your giveaway and it would be nice to win something. Thanks for hosting, I hope you will continue next year. What a beautiful teacup! I love the Lefton; such pretty colours. Your Giveaway is very generous and I would love to a teacup from you. Have a happy day and Merry Christmas! Won't be entering the other give aways - better someone who celebrates Christmas wins them. your Lefton Tea cup is a beutiful treasure. And the giveaways are more than marvellous and so generous. I am not sure wheather I am supposed to join the giveaways but would be lovely to win one of your pretty the Domino books. 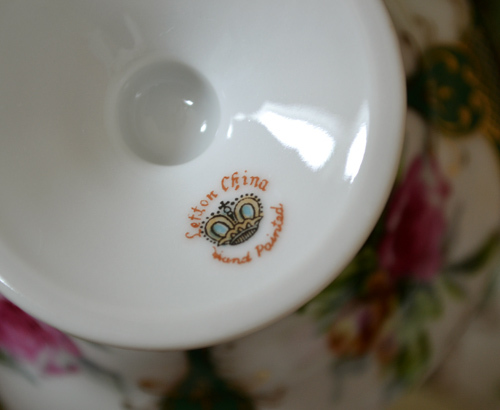 Thank you for sharing all your creativit and the beautiful china. And for hosting weekly this sweet event. What a perfect cup to enjoy at Christmastime! a chance to win. Enjoy your blog each day, as well. Oh how I'd love to win that domino class... I honestly had never seen them before and they are just DARLING! Please throw me into the hat.. this is a great giveaway. HI Terri.... thank you for hosting such a fun theme, I love everything tea!!!! YOur blog is so beautiful, your choice of color and elegance makes for a very enjoyable visit!!! Hello Terri! Please enter me in your giveaway! I would love to win any of the beautiful options! Beautiful giveaway! 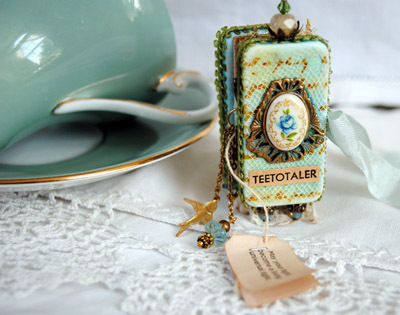 Please enter me for a chance to win the darling teacup. Thank you so much for hosting your tea party every week. Wow, your little domino books are stunning! I've never made one before, but think I need to add it to my list. Oh my... 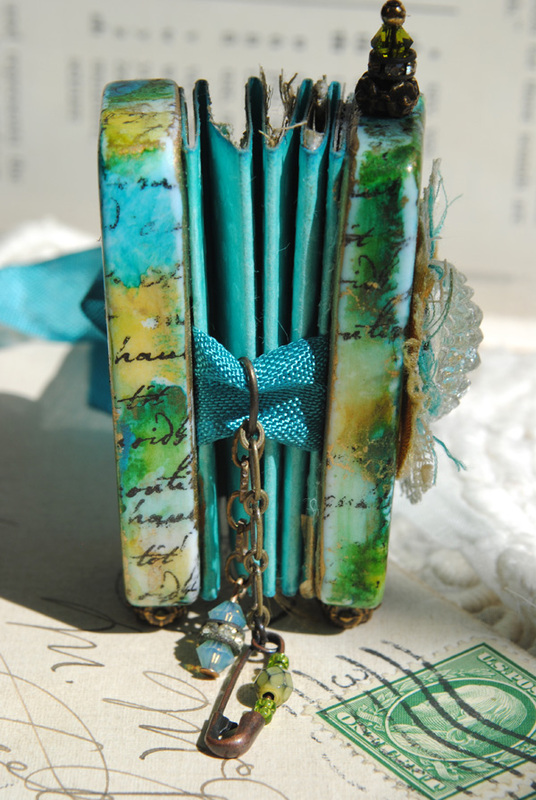 I just love your domino books ~ they are beautiful! Your teacup is also so very pretty. I have a few old ones from my grandmother hiding away somewhere still. Please enter my name to your giveaway. Such a wonderful thing to do for the holidays. 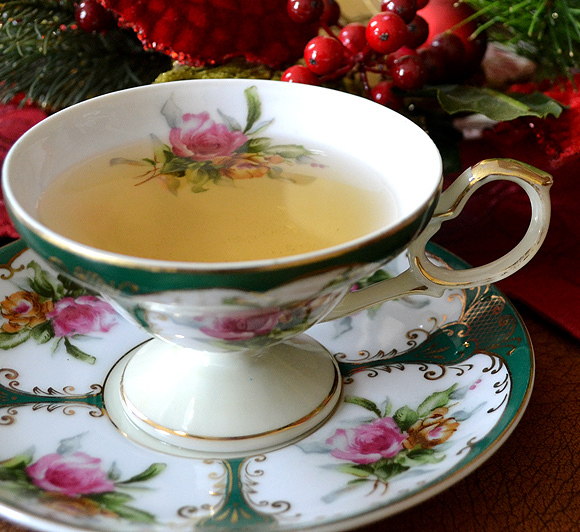 Love your holiday teacup! It's beautiful and so delicate looking! Such generous and fun give away offerings! And I would say "continue hosting your lovely tea parties"! Thanks for hosting in 2012.
what a generous giveaway from you. 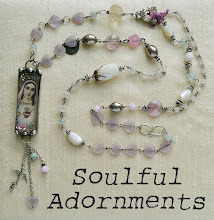 and all such beautiful pieces. Your little books are just stunning, the one with the tree is an amazing creation, and the cup also so lovely. The one winning your class tutorials is also a lucky winner. Oh my gosh! I would so love to take your domino class!! Hi Terri, Would love either the Domino book OR the "fly". Looks like soooo much fun! Love the Domino Books, would love to win the class. The teacup is so pretty. 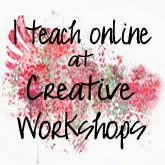 Hello, Thank you so much for stopping by Creative Breathing. What a lovely blog you have. All of the teacup links are wonderful! I was so happy to discover the RA roses pattern has a casual line. I must let my husband know! I have never seen such a thing as the tiny Domino book. It is astonishingly beautiful. Thank you so much for your generous giveaway! If I don't win the class, I might have to take it anyhoo! Your teacup and photos are simply gorgeous! 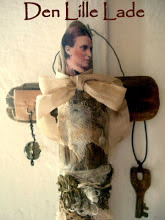 I believe even the queen mother herself might be envious of your splendid collection! Oh wow - I need to get my name in the hat (tea cup? )- such pretties to possibily win. As for carrying on with the tea cup posts next year - oh please do. I know I don't comment as much as I should, but I do enjoy seeing all your wonderful cups and reading about them. I think you should continue. I just joined last week and this seems to be a great bunch of folks. I would live to win ant of your wonderful giveaways. Of course I would love to win any of these gifts ! Generous and beautiful. The teacup is as usual on your blog, beautiful. May I ask how & where you store your beautiful teacups?Everything I see on your blog is so beautifully done , I am imagining a cupboard of efficient, but shabby chic beauty...true , right ? I say YES to another year of Teacup Tuesdays, please ? You are so generous with your giveaways. I just love your Christmas domino book. It is a true winter wonderland - so pretty. A chance to win......wow this so generous of you. The domino book is just exquisite I've never made one of these before, a class of yours would be amazing...and who doesn't love a beautiful tea cup. I love your domino books! Thank you for a chance to win. I am a follower! Merry Christmas!! Thank you for your generous give-away. I would love to take your domino class and of course I would love the teacup. But I do enjoy coming and looking at your pristine cups. They are each so amazingly beautiful. Thanks for taking the time to share them. 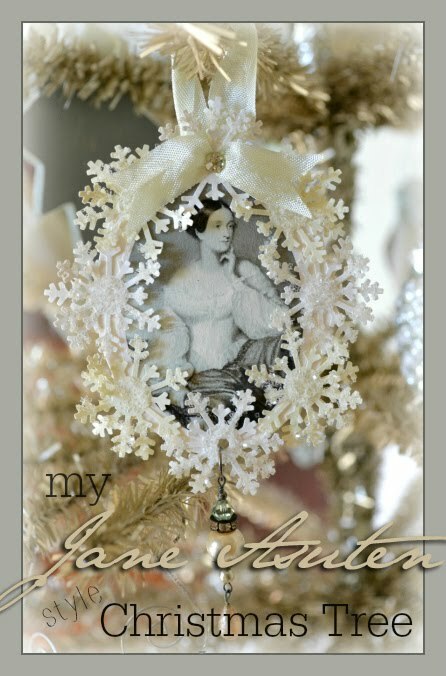 Oh my Terri..everything is so beautiful..such a wonderful and generous giveaway..so many treasures..you are multi-talented..your creations are magnificent!Gorgeous teacups spotlighted today..both are totally magical and charming! What a generous giveaway! Beautiful floral teacup! Your domino book is lovely! Thanks for hosting. Have a wonderful day! Hi Terri, what a lovely giveaway! 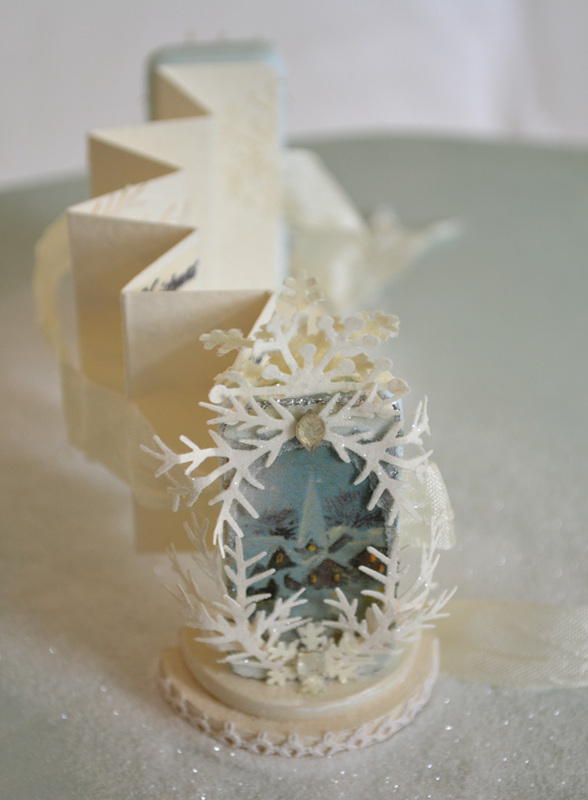 I would love to be in with a chance of winning your gorgrous Christmas domino book. I think you have my e mail address if by any chance I am lucky enough to win. That beuatiful cup will make a very special and delicate gift. 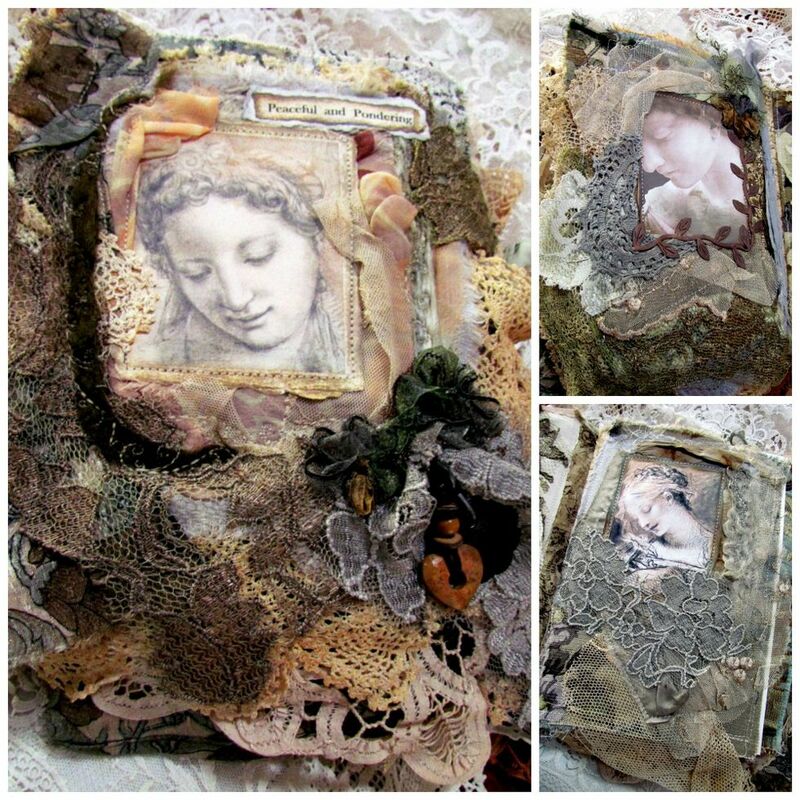 And now, much to your delight, I've discovered your other passion--your exquisite altered domino books♥... what beautiful and precious treasures they are! I would love a chance to win one of your wonderful prizes. I am entered in the domino class but haven't started yet. Hopefully next week. still time to enter? would love to win....something. I love your teacups, you have so many to show us and they are gorgeous. I used to collect teacups when I first got married, will have to get them out and take a photo of each one to show you. I have been wanting to take your Domino Class so if my name is drawn that is what I would choose as the giveaway gift. You are so generous! Thank you for this chance! How sweet of your Terri! Would adore anything. Your bird cage necklace is lovely,as always. Such a busy time of year. 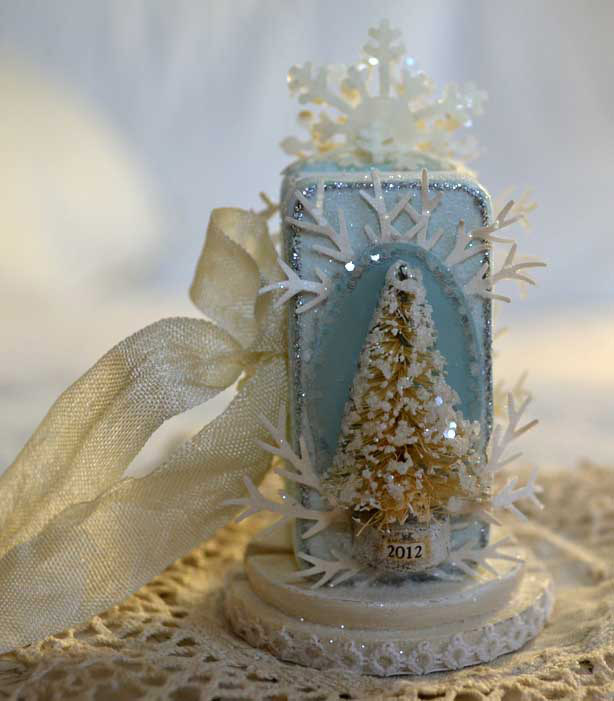 Would love to win the teacup or the Christmas Domino books--just precious! Oh, I so so want a chance to win. So many pretties! I love that little domino book! I am enjoying my first visit! 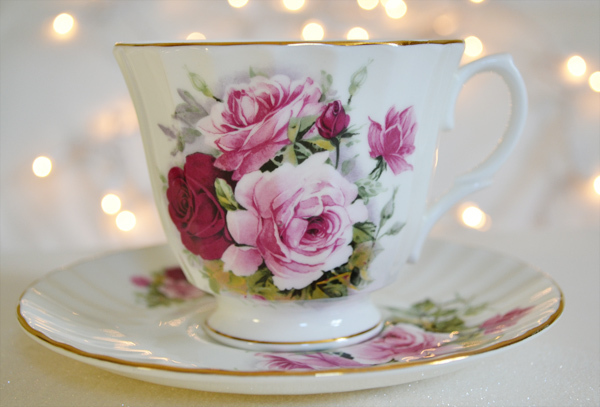 May the beautiful tea cup and ideas you are sharing to everyone's delight fill your cup of joy to overflowing! Whether you email or stop by you are welcome to visit my garden! I thought I had posted a comment on the Domino book giveaway, but don't see it now. Terri, I signed up for the Domino Book class on the Shabby Cottage web site. I recently moved to NC and haven't done any art work since May when the whole moving, selling, packing, etc. process began. 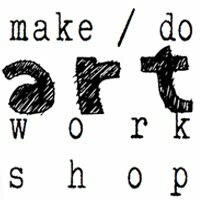 I really miss my making books. Your class will be an inspiration for me. I just love the Christmas Domino book you created and hope to do justice to your class with one of my own creations. My mind was blown away when I saw this book. I sure hope to win it. Thanks so much for offering it. maggie_maggie06@yahoo.com Thanks, and sorry for the trouble. 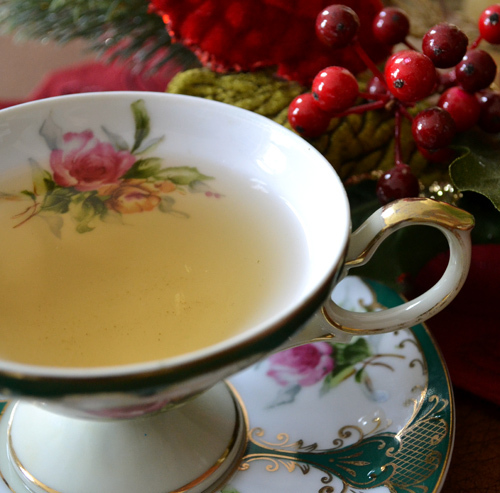 Tea Cup Tuesday-December Giveway Cup and More! December Celebration Giveaway and Sale! Happy December! Class Sale and Giveaway!